…constructing wings for a fish. About a couple weeks after we first met we had our first date. We started planning it right after we became facebook friends. A even created a private event and invited me. If you were curious to know how we evolved as a couple and how we got involved into each other’s lives, you would just have to go on our profiles and check it out. I say this because this was part of my daily routine. I always went online and checked if he sent me a pm, if he commented on my status, if he liked my pictures. And when I saw he did (which was pretty much every 5-10 mintues – this is also how often I went online – thank you mobile device) my heart made a little jump and filled me with so much joy and happiness. So when he invited me to our first date (note: he actually asked me out the night we met), I said yes before he even ended the question. We quickly found a date and a time and he decided to make it not only a couple-hours-date but a whole-day-date. This could have gone terribly wrong if we didn’t get along after all… Between PA and VA is a nice scenery but where will you go on your first date? To Tyson’s corner mall? To the Leesburg outlet malls? To the zoo in DC? Lunch in Hagerstown? Dinner in Winchester? But A had our date already planned out before I could make any suggestions. He asked me if I’ve ever been to Baltimore – I haven’t. He asked me if I liked flowers – only the one from the little prince. He asked for my address. After a few long days Saturday finally came around. I got up super early to take a shower, made a nice hairdo and picked out what I wanted to wear. I also changed about 45 times until I decided jeans and a T-Shirt should be fine for a date that starts at 9am. There’s actually nothing magical about an aquarium. It’s just fish in huge tanks staring at you staring at them. And on Saturday it’s also about 5000 kids with their gparents and parents and aunts and uncles and everyone who wants to stare at their child, stare at a fish while the fish stares back at the child. 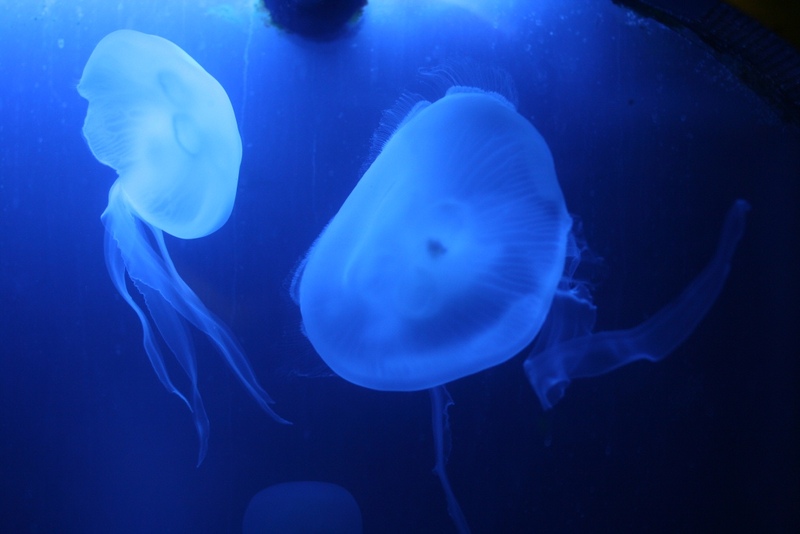 Nothing – absolutely nothing – magical about the aquarium.. But there was something in the air… The most wonderful thing about the aquarium was that even though there were about 10.000 people more than the aquarium holds, it was still just like A and me being alone in there. Walking hand in hand slowly from tank to tank. Imitating fish, pretending to be sharks, just enjoying the wonderful bright colors of the corals. It was then that I knew that in this scenario I’m the fish and A’s my bird and that it was time to construct wings for me, to be able to fly with him. Explore the world with him, live a little on the dangerous side of life. And still not fear because he was close. It was then that we made a plan on how to stay together, how to stay strong and how to manage the long-distance thing. It was then that I knew for certain that I loved A, because I knew he’d keep me save. Every now and then we go back to an aquarium – any aquarium and I fall in love with A all over again.